It seems like everyone wants to buy gold and silver bullion. While many banks do not offer this, some do, and the general principals of buying metals from a bank is the same as when buying from a dealer or online. Determine the current spot price of gold or silver. There are many online resources where you can determine the current spot price for an ounce of metal. The two main markets are London and New York. Determine if you want your bullion in bar or coin form. Gold almost always is traded in coin form in fractions from a tenth to a whole ounce, while silver is often traded in coin form and generally one ounce coins, but can also be purchased in 10 and 100 ounce bars. Determine the premium that you are paying over "spot" price. Depending on the bullion-type, you will pay a premium over spot price. 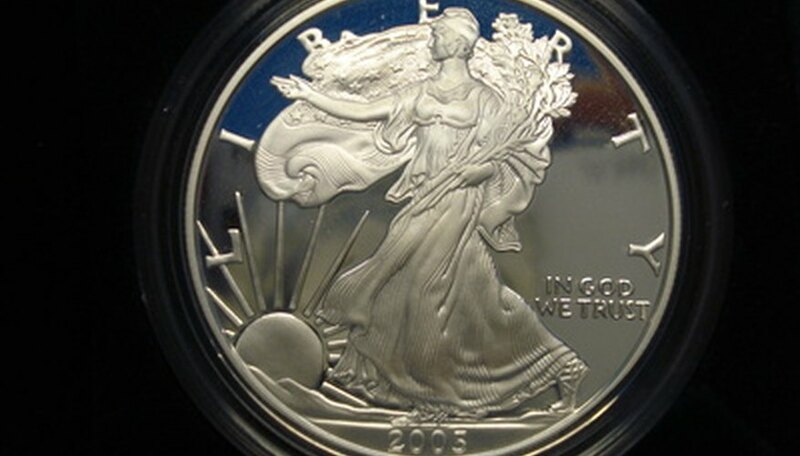 For example, for a silver American Eagle bullion dollar, you may pay $3 over the spot price of silver. So, if silver is $17 an ounce, you may pay $20. These premiums differ depending on the vendor, so it pays to shop around. Check to see if the bank will also buy coins or bars should you need to sell.